UPDATE (4 November, 740am) The taxi driver who claimed to be earning $7,000 a month is reportedly singing a different tune. According to The Straits Times, the cabby said on Saturday that he only made that much in May, and typically his earnings range from $4,000 to $5,000 a month. Hasnor reportedly said he earned that hefty amount driving his own “money-making machine” from 5:30am to 9:30am, 2pm to 6pm and after dinner until 10pm six days a week. He also drives on Friday and Saturday nights for extra money, raking in $200 a day even after deducting $150 for rental and fuel costs, and up to $500 a night on Fridays and Saturdays. In Leow’s case, he drives a seven-seater Maxicab for up to 15 hours a day. His $300 daily income, taking out costs, stems mainly from shuttling hotel guests, corporate clients and airport passengers — and many of his trips carry flat rates. 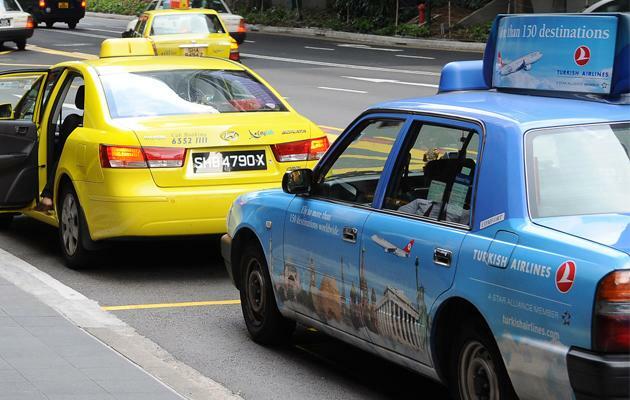 Drivers in Singapore frequently operate on 12-hour shifts, dividing the day’s rental and fuel with one other cabby who will pull the other shift. Some drivers, like Hasnor, though will rent for a full day, giving them the flexibility to decide when to drive out to ferry passengers. In the six years he has plied the taxi trade, 49-year-old Jeffrey Loon said he earns anywhere between $20 and $25 from one hour on the roads. Deducting about $100 for fuel and a half-day rental, the day driver shared that his takings usually come up to at most $200 from a full 12-hour shift, amounting to slightly more than $4,000 a month in takings, working six days each week. “If you drive for more than 12 hours a day, you could possibly hit $6,000 a month, but how long can you sustain that? You really have to work very hard, and be very disciplined either way,” he told Yahoo! Singapore. Loon also shared his doubt on the viability of taking breaks in between time on the road, saying he prefers to drive for 12 hours non-stop and then rest afterward. Another 54-year-old cabby, who wanted to be known as Mr Yeo, agreed with the hourly amount Loon shared. In the 10 years’ experience he has had driving taxis in Singapore, Yeo, who drives the 12-hour night shift, told Yahoo! Singapore he earns slightly more than $3,000 a month from working either five- or six-day weeks. His takings, he says, average at about $120 a night, after deducting $40 for diesel and $52 for his share of the rent. Once in awhile, Yeo says he sees better months, with takings exceeding $4,000 especially at Christmas and New Year. Apart from that, though, he remains sceptical that it is possible to earn as much as Hasnor does assuming the latter works just 8 hours a day. Blogger and taxi driver James Lim rebutted some of the various points in the articles. For example, he said, driving for eight hours a night on a good day, he can take home about $158 after fuel and rental. In a month of 25 days of work, his income can come to about $3,000. Even if a driver does two shifts of 16 hours, he would get about $5,400. “But can a single person drive 16 hours a day without breaks for 25 days a month? Impossible, unless he is a robot,” he said. This situation seems to be the case even for younger drivers. One 37-year-old cabby whom Yahoo! Singapore spoke to, who has been plying the roads for the past five years, earns roughly between $3,000 and $4,000 a month as well on the night shift. He shared about a fellow taxi driver who had just started out three months ago, and while that cabby does earn $6,000 a month, he drives from 7:30am to 2:30am, six days a week. “I asked him, how are you going to wake up for the next day? You can’t keep this up, you’ll burn out,” he said, sharing also that he supplements his income with a small online business selling mobile accessories. “If I could find a more stable job, I think I would prefer to stop being a taxi driver, so that my income will be fixed,” he added. Data from the National Taxi Association seems to also point to the possibility that Hasnor and Lewo may be one-off success stories in the taxi industry here. Advisor to the NTA Ang Hin Kee told Yahoo! Singapore that in general, most taxi drivers earn slightly more than $2,000 a month after offsetting rental, fuel and ERP costs. “Taxi drivers should not push their physical limit by spending more hours on the road to earn more,” he said. “I spoke with some of the more experienced taxi drivers and they have indicated that earning a net income of $6,000 is almost what two drivers take in with extra hard work. It is hence rather uncommon to achieve that kind of amount driving alone,” he added.